2016 MY17 Subaru Levorg GT & GT-S: Car Review | | A Wheel Thing. Subaru has gone back to the future for the 2017 MY (model year) Levorg. It’s a name from the past applied to a modern mix of turbo charging, boxer engine, all wheel drive. Available in GT and GT-S spec with manufacturer’s pricing of $42990 and $48890 plus ORC (plus an optional Spec B configuration package from $52890 plus ORC), A Wheel Thing drives the Subaru GT Levorg and Levorg GT-S. First impressions are of from the front. Looks like a WRX, complete with angular headlights, low set indicators, LED backlit DRLs surrounding the headlights and air intake in the bonnet looking like a whale shark skimming plankton. At the rear it’s a blend of Forester and Outback and a slightly heavy looking bumper, dragging the rear visually close to the tarmac whilst the roofline tapers gracefully downwards. 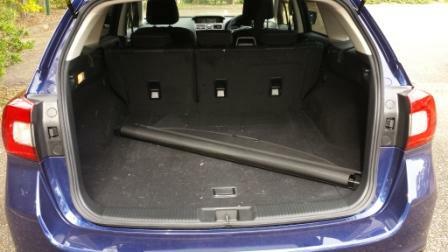 Front and rear bumpers on the GT are not fitted with parking sensors however. In profile, there’s tidy looking 18 inch alloys wrapped in 225/45 Dunlop rubber for the Levorg, in full alloy for the GT and black painted machined alloys on the GT-S. There’s an odd choice of exterior styling for the window trim, with a sole strip of chrome on the lower window line whilst the rest is blacked out. The GT-S follows a similar styling theme and it’s not entirely cohesive in look. Personal choice would be to have all blacked or all chromed. 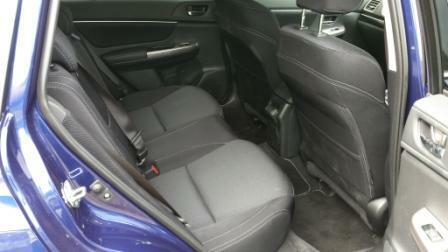 There’s a bit of aero design in the rear flanks, with a crease from the rear door handles to smooth air flow. It’s elegantly packaged overall, with a balanced proportion in look, with a total length of 4690 mm giving the Levorg a low and slinky look thanks to the 1490 mm height. An overall width of 1780 mm makes interior space cosy, with enough room on the rear pew for two passengers comfortably but a tad tight for three. Dry weight is 1538 kilograms. Inside it’s standard Subaru in the GT; cloth covered manually adjusted front seats, the GT-S goes leather with blue piping plus heating up front with two memory seats, sunroof and heated wing mirrors. There’s the triple screen display in dash and console, dash dials limned in a brilliant aquamarine, push button Start/Stop and a surprise. A Wheel Thing has long bemoaned the seeming wacky choice of lighting the button that says Dual for the aircon but it’s lit when actually only operating as a single zone. This has finally been rectified. Huzzah! 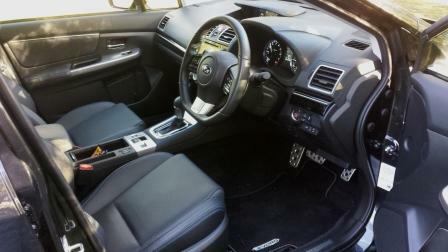 For portable device charging and music playing there’s USB and Aux up front and a USB port for the rear seat passengers. The GT misses out on some of the touchscreen features the GT-S gets; satnav, for example, is not fitted and also dips out on Blind Spot Detection, Lane Change Assist and Rear Cross Traffic Alerts. There is a reverse camera and you’ll still get the side/front/curtain and knee airbags plus the mandatory assortment of electronic driver aids and that marvelous Eyesight forward collision avoidance system. Safety rating, as a result, is five stars. Subaru’s made sure the Eyesight system is easy to use. There’s a tab on the steering wheel to adjust how far ahead the system scans for traffic and will beep stridently when it senses an object plus will apply braking force if the computers deems the human component is not reacting fast enough. It’s a brilliant system but sometimes a tad fussy when sensing stationary objects. At least the alarm keeps the driver on their toes. The GT-S adds a visual element by fitting a series of red LEDs in the dash where one might find a HUD. The tiller also has the SI Drive buttons; these offer three driving modes, with the more user friendly being the Sports, the in between mode ahead of Intelligent. This sharpens throttle response and engages the Lineratronic CVT noticeably quicker and imbues the transmission with a more traditional auto change feel. 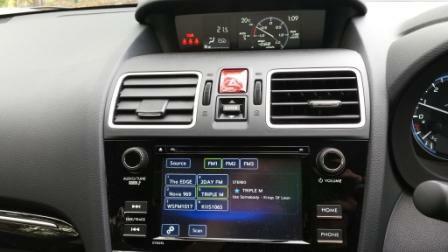 Sports Sharp (S#) takes it a step further; the dash shows the gear ratios, not just D, and further improves the gear change feel. It’s also this mode that the paddle shifts become relevant, as there’s now eight preset gear points to play with, and makes this gear perhaps not the one for most. 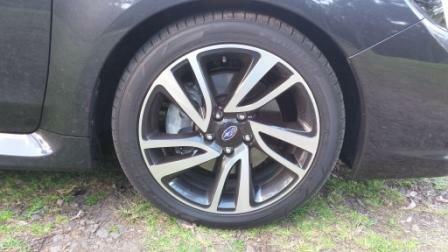 A Wheel Thing is not a massive fan of CVTs and this doesn’t escape scrutiny. There’s lag sometimes between engaging Drive from Reverse, sometimes a lag between hitting the accelerator and having forward motion engaged. That indecisiveness off the line is frustrating and potentially, in the wrong situation, dangerous. When it’s underway and hooking up, it’s a different story. From a standstill, the Sports # is the pick for seeing 100 kmh in the quickest way….6.6 seconds, thank you. The brakes were up to the task, with a smooth bite and feedback almost from the moment of touching the pedal. Given the newness of the GT (built in May 2016) there was more than a hint of brake pad smell around town, with the stop/start traffic flow. 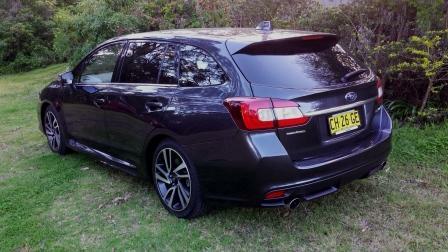 Moving to the rear and we’ll see the raison d’être for the car and where the Levorg shines. There’s 60/40 split fold rear seats, operated by both a pull knob on the seat’s corner and in the cavernous 522 litre cargo section, a simple pull switch to the left and right of the cargo wall. 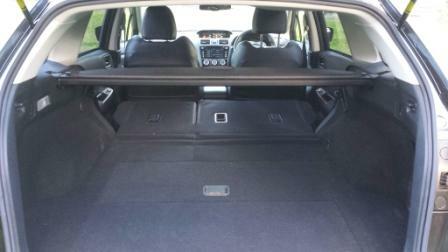 This drops the seats flat and opens up the cargo area to a whopping 1446 litres. 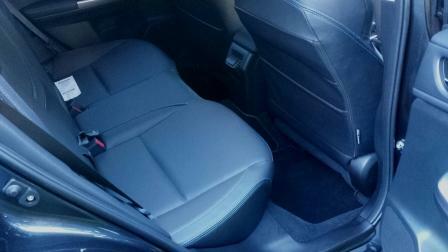 There’s the lift up floor to access the spare wheel which is a space saver and hides a couple of extra storage pockets. Up front and below the gaping air intake is the square bore and stroked (86.0 mm x 86.0 mm) boxer four with turbo. 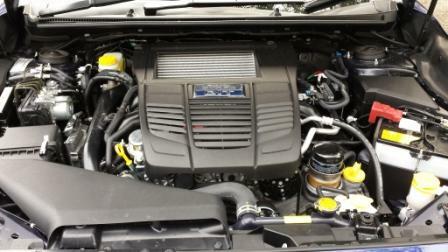 It’s an engine that sings its best party tunes between 2500 and 4500, especially when at velocity. The lightest of extra pressure on the throttle sees the turbo boost gauge creep upwards however the numbers of kilometres per hour climb faster as a seemingly endless push in the back is applied. Subaru quotes peak power and torque as 197 kilowatts @ 5600 rpm and 350 torques between a table top flat 2400 – 5200 from the 2.0L engine. Economy? Well, this was an engine with around 1600 kilometres on the clock when tested in the GT, so would still be bedding in. Final economy was 9.5L of 95 RON from the 60L tank for every 100 kilometres covered and this was in a driving environment of 95% urban. 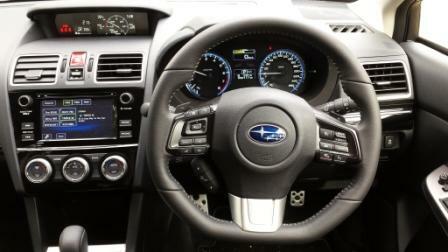 Given Subaru quotes 11.9L per 100 km for the urban, 6.9L/100 km on the highway and 8.7L/100 km, that’s come out quite well. When punched hard, there’s the hint of turbo whistle from the front. It’s a sound that’s been virtually eradicated from production petrol turbo cars, sadly, and even some diesels now miss out on that. There’s the thrum of the boxer engine and the almost silent whoosh from the twin exhaust tip. There’s no doubt some aftermarket companies will already be working on replacements. It’s a typical turbo delivery, with that feeling of “here it com………there we go!” and is only slightly hobbled by the characteristics of the CVT. There’s that slipping clutch feeling before the system grabs hold of the engine’s torque and then makes full use of it. Again, the CVT works best when everything is already happening, especially when at freeway speeds. Road holding was, as expected, superglue in its grip. 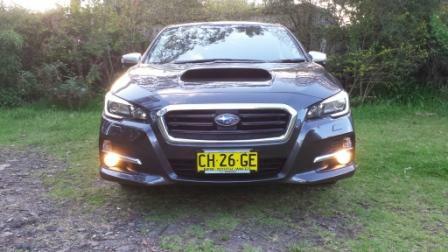 Point, shoot, apply throttle, brake, and the Levorg did as asked. 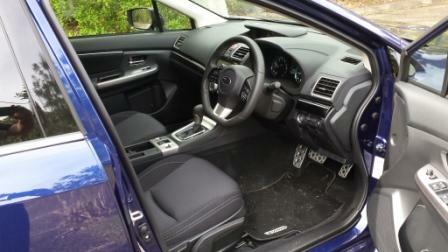 You wear, rather than drive, the Levorg. Unexpected was the variance in ride quality. Subaru have fitted the Levorg with two suspension setups: for the GT there’s KYB and for the GTS, Bilstein is the supplier. Bluntly, speedhumps are not the friend of the GT and to a lesser degree the GT-S, with front and rear crashing into the bumpstops even at low and appropriate speeds. The chin would bang the tarmac and the rear would bang around, moving the spare wheel assembly and tools audibly. The GT-S was a bit tighter but disappointed in not matching expectations. Compared to Skoda’s Octavia wagon, the suspension was softer, less accommodating of undulations and bumps, less tight and taut. The rear still felt soft, bouncing more than expected coming off speedbumps, and whilst the front in the GT-S was tighter than the GT, the Octavia felt more settled and composed as a package. 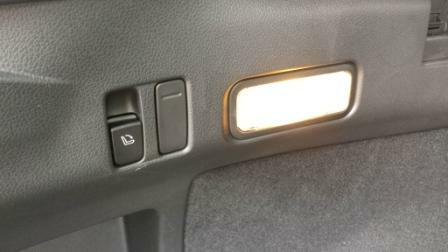 There’s also some clunks from the driveline in parking and turning, as the all wheel drive system deals with the input the sensors send to the onboard computers. Underneath the Levorg are coil springs and McPherson struts up front, while the rear sits on double wishbones. 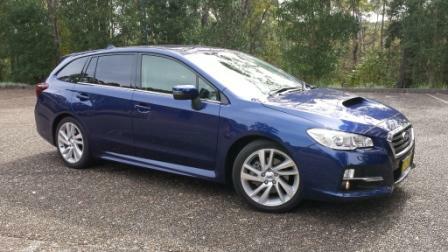 The combination keeps the Levorg flat and level on the freeway, adding to the perception it’s a sports car with a big boot. Steering is a rack & pinion system, with electric power assistance. It’s firm, well weighted, and doesn’t feel over assisted regardless of slow, parking, acceleration or highway velocities. Included is three years worth of road side assistance and three years warranty with unlimited kilometres. Service intervals are six months or 12500 kilometres. For towers, the Levorg is rated at 1200 kilos, enough for a small trailer, for who’d want to tow a caravan with a sports wagon? 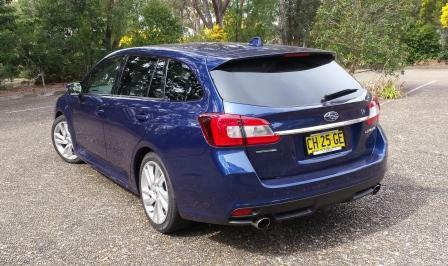 The Levorg offers a quality alternative and fits well into a niche, Subaru’s forte. A medium sized, non diesel, roomy, non SUV vehicle with good looks, punchy performance and efficient in its simplicity stands it in good stead. With Subaru expecting to shift somewhere in the order of north of 250 units a month, it’ll add to Subaru’s already well stocked arsenal. The GT’s Achille’s heel is the overly soft suspension in the real world or car parking and road based speed humps, leaving the GT-S to look as the winner but not by much, with both dealing with a CVT that seems to need more polishing. 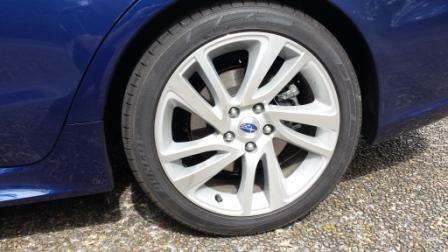 For A Wheel thing, it’s a case of Levorg, Lelike, not LeLove. Be the first to comment on "2016 MY17 Subaru Levorg GT & GT-S: Car Review"